A crying infant produces anxiety in almost anyone who hears it. However, when it is your baby crying, the anxiety escalates even faster. You become focused on calming and consoling your little one so the baby is once again happy and content. Sometimes the crying stops by a simple pick up and bounce; other times, if you’re stuck in traffic for instance, you must reach behind the seat to hopefully secure a binky, no easy task. In these moments, I must say I do a pretty good job keeping my composure. But sometimes baby Clark is not my only distraction. In these moments of distress, Cooper is now demanding a binky and tries to out “fake cry” Clark's real cries. Most of the time I can handle even that chaos, but add to the mix my barking Goldendoodle, Tucker, that seems to bark at EVERYTHING since the birth of our babies, and I lose it. It is just too much simulation. So last week I felt excited to explore opportunities to find silence throughout my day. I noted many moments I could have invited silence into our home but tended to fill it with noise. 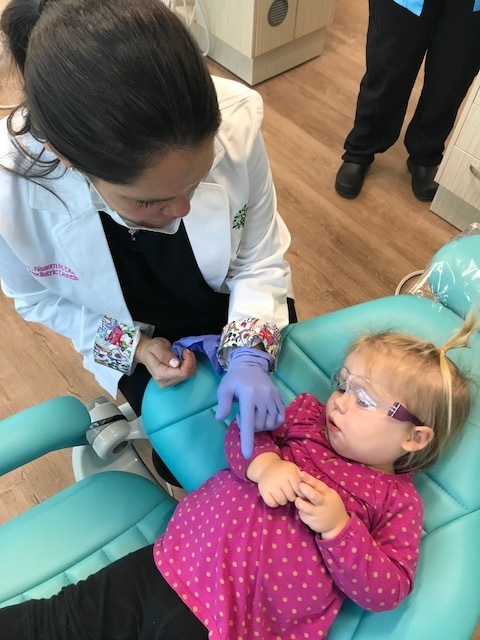 For example, Cooper had her first dentist appointment at Treehouse Pediatric Dentistry with “Carter’s Mom,” aka Dr. Nasem Dunlop (most adorable pediatric dentist office by the way). Putting both babies into the car to begin our 25-minute drive was comically chaotic, complete with one loud real cry and another annoyingly loud fake cry. 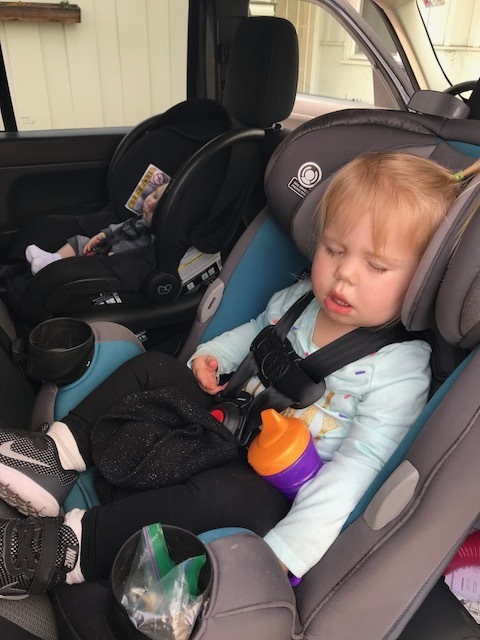 Sweating with anxiety, I strapped them both in their carseats and jumped in the front seat. Normally, I would turn on the 52 Sing-A-Long songs on Pandora and blast “Head, Shoulders, Knees and Toes” the entire drive. But I decided to drive the whole 25 minutes in silence. To my complete shock, Cooper chatted to herself, sang little songs, looked out the window while observing the rolling hills off the 241 toll road. And Clark, after I reached around the seat to hold the binky in his mouth, fell fast asleep. And what did I do? I enjoyed the silence and relaxed, feeling content I had allowed quiet into the car. I found myself continuing this routine throughout the week. Every time I reached to turn on the TV or music, I considered allowing silence to envelop the space. Many times, as Cooper played with her pretend kitchen in complete silence, I stopped and watched. Reducing the stimulation allowed her imagination to take over. Not to say we didn’t enjoy our morning dance parties with music in the kitchen, but I was okay with the silence this week and actually invited it in. At night I started feeling uncomfortable about keeping the sound machines blaring all night long in both of the babies’ rooms. So when we put the babies down, we set the machines at a lower volume than before and kept them on until we went to bed. I then tiptoed into the rooms and turned them off. I felt much better sliding under the covers knowing that for hours their little brains would be experiencing the benefits of silence. 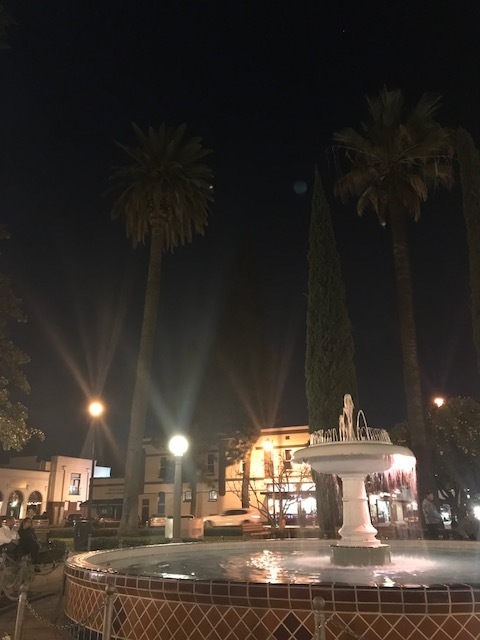 I decided to go on a late night run to Old Towne, Orange. Arriving at the circle, I sat on one of the benches in silence for at least 5 minutes. I had jogged there without music and noticed the glowing moon and distant city noises. I sat on the bench and observed all the people walking by. I noticed the more silent it is around me, the louder the thoughts in my head become. This is something I have always known about myself, specific to my studying habits. I hated studying in a library because I became distracted with my thoughts in contrast to studying in a busy café. For some reason the stimulation forces me to focus my thoughts on what I am doing. Strange, huh? So instead of analyzing all the thoughts stampeding through my mind during my run, I let them come and go as they pleased, almost like sitting in a theatre witnessing a movie in my head. Interestingly, creative ideas to include in Be Better came to me as I naturally reflected on what I wanted to write for Aly’s Angle.